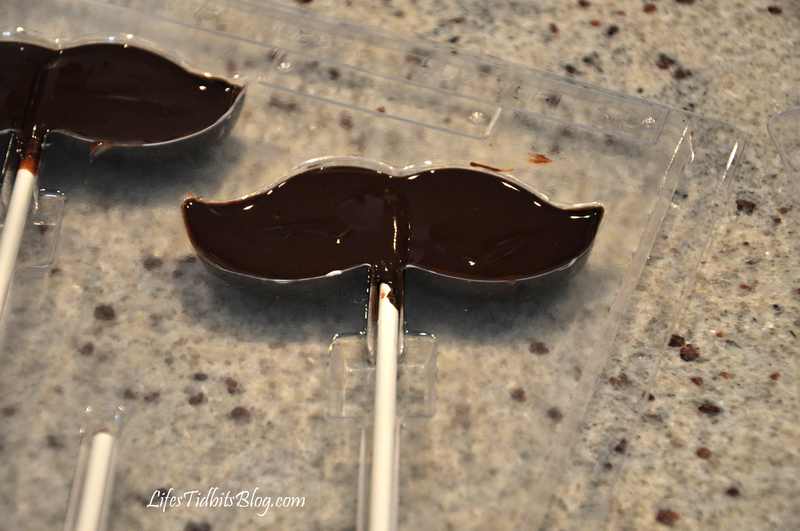 A while back I found this blog post about chocolate mustaches. I had been wanting to make them for a while. After purchasing the chocolate molds on Amazon along with the lollipop sticks they sat in my cuboid waiting to be used. I considered making some for a friend’s bachelorette weekend, but ending up making a cake instead. Then one of my besties got pregnant AND she found out she was having a BOY!!! Finally, I offered to through her a baby shower and after a bit of research decided to do a “little man” themed shower. Check out the DIY invitations for the baby shower. 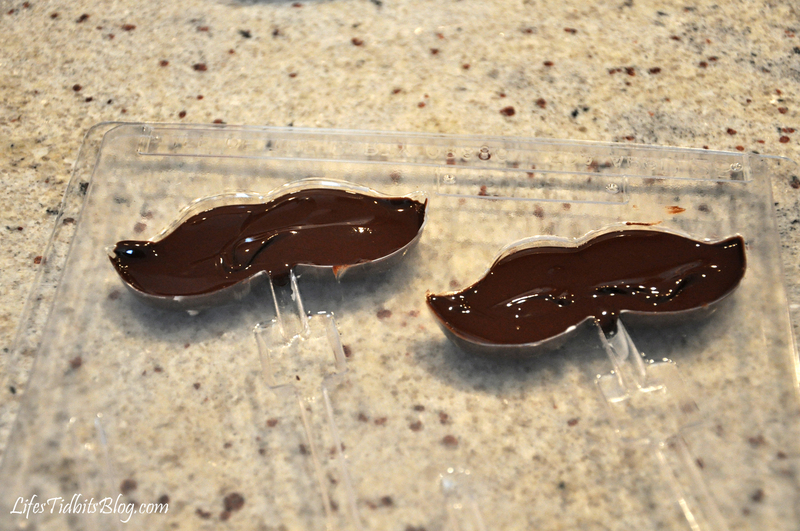 FINALLY these mustache molds were going to come in handy! 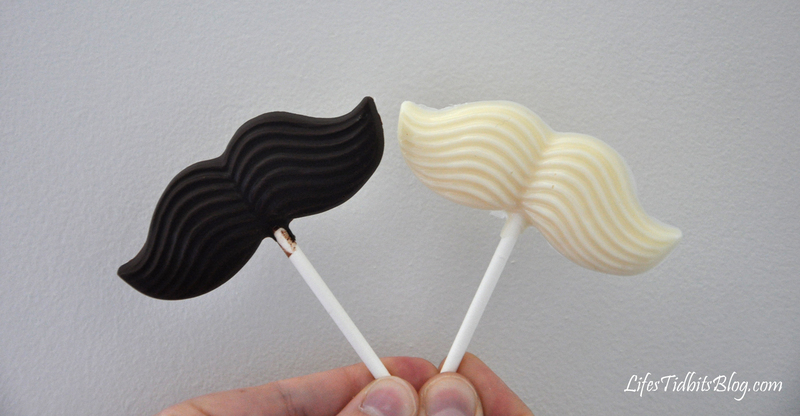 I considered making the mustache chocolates as cupcake toppers, but decided they would be perfection as a thank you gift for the guests. I bought the chocolate molds and lollipop sticks on Amazon.com, however I also found molds at Michael’s made by Wilton. 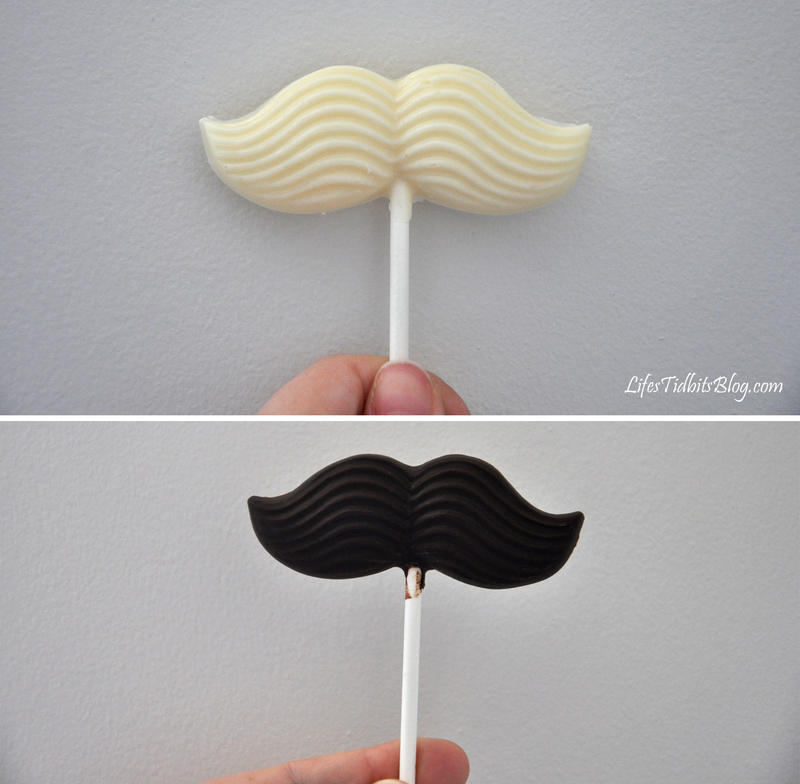 Here are the directions on how to create these adorable lollipops. Melt your chocolate as usual. I melted the chocolate with my new Wilton Chocolate Pro that my parents-in-law got me this holiday season. 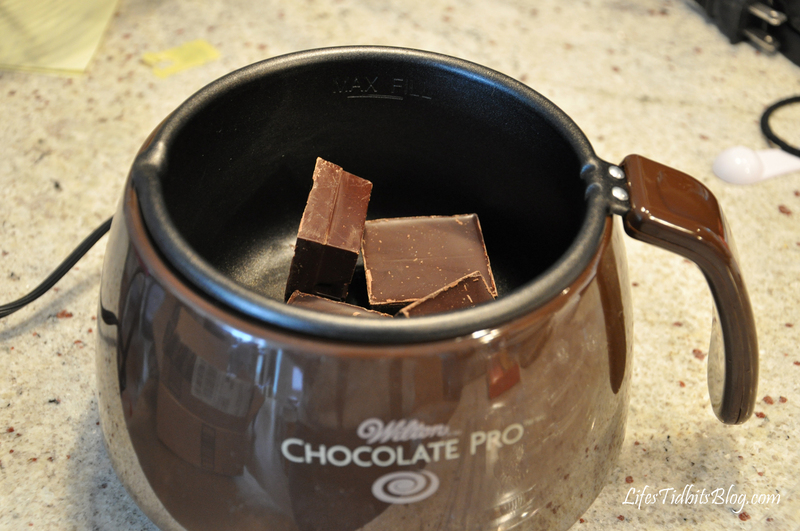 It works great and is a lot easier than trying to melt the chocolate in the microwave! Anyways, about 1/4 LB of chocolate, makes 4 pops. Fill the mold with chocolate using a teaspoon. Make sure it’s filed to the top, but don’t overfill the mold. The chocolate should reach the outer corners. If you have any overflow or extra, wipe it clean. Tap the mold gently on the counter to release air bubbles. Push the sticks into the mold and carefully roll them until they are covered in chocolate. Tap the mold gently on the counter again to smooth the surface. Put mold in the freezer for about 10 minutes or until the chocolate releases from the mold when turned over. If if the lollipops don’t come out easily put them back int he freezer for a few more minutes. I ended up with 1/2 white chocolate and 1/2 milk chocolate. I hope people like both types of chocolate or I am going to have A LOT of left over mustaches. :) I’m pretty please with the final product!! Again, I’m loving this whole theme. So cute!! Nice job Nicole! Looks as is if you did a super job with the “little man” shower!